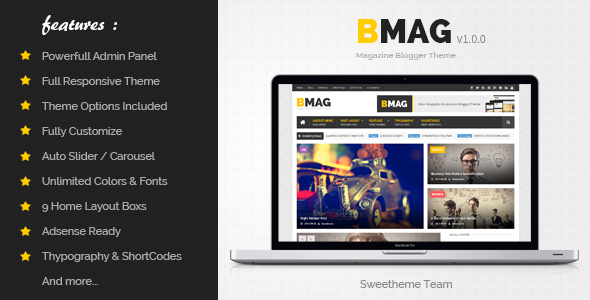 BMAG is a Magazine Responsive Blogger Template, it is clean and compatible with many devices. It’s perfect for creating your magazine or blog using blogspot, no need to coding as it is very customizable template. Item Reviewed: BMAG Magazine Responsive Blogger Template 9 out of 10 based on 10 ratings. 9 user reviews.